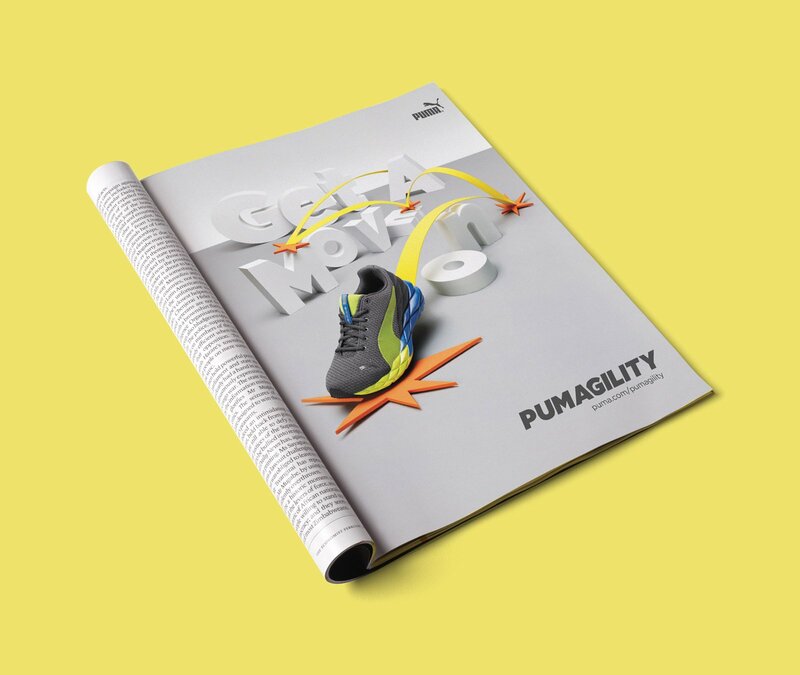 As PUMA prepared to introduce an extremely flexible cross-trainer equipped with BioStability technology, they approached us to help create a campaign for the product. 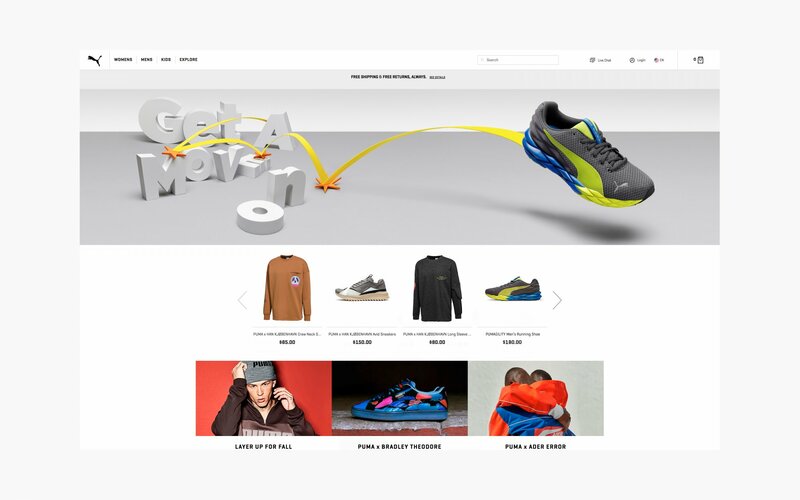 The shoe was made visibly dramatic, to engage both retail stores and consumers. 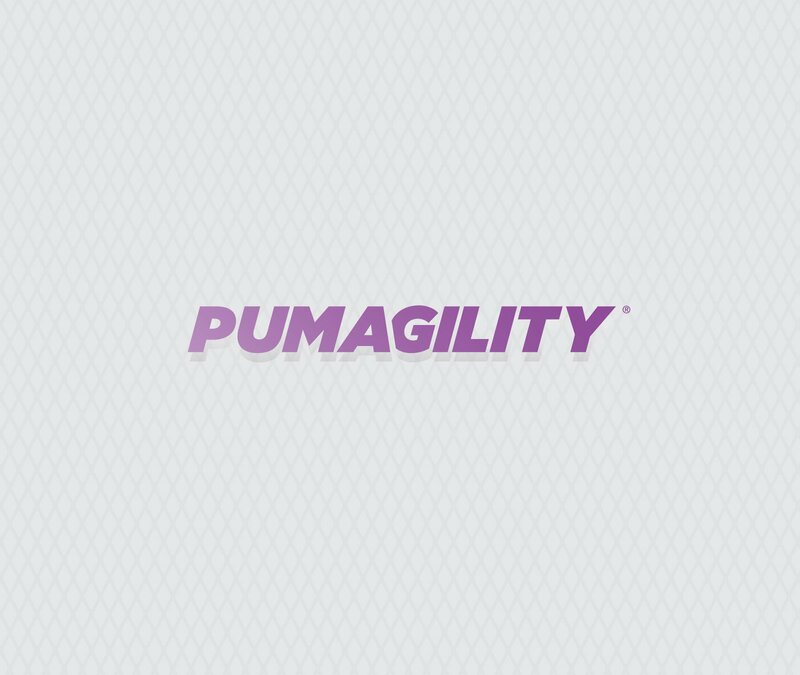 From this, the campaign idea “Pumagility” was born — Stability, Mobility, Agility, and being ready for anything. 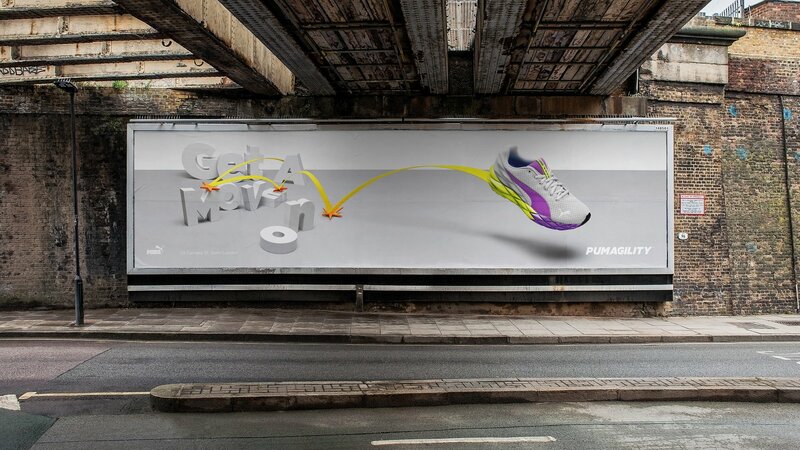 The graphic concept sought to showcase the product in motion. 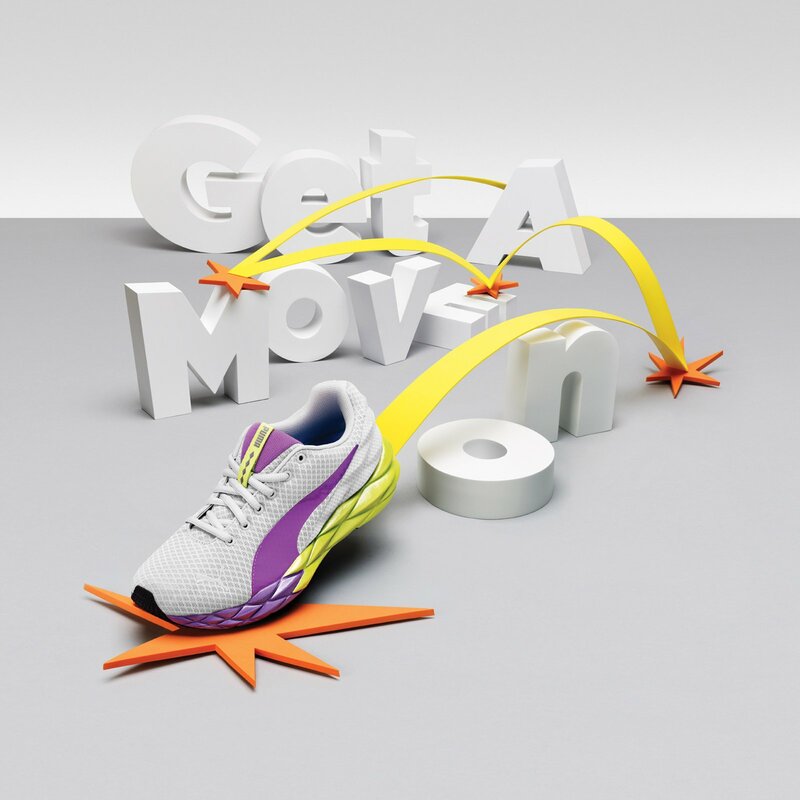 We collaborated with artist / photographer Bela Borsodi to build and photograph a set that seamlessly merged three-dimensional typography design with the PUMA footwear.